A few years ago, I posted a couple of around-the-world book lists. With many libraries doing the collaborative Summer Reading Club theme "One World, Many Stories", I thought it was time to repost and update those lists! Here are some of my favorite around-the-world books for preschoolers. This list was originally posted at Abby the Librarian on April 20, 2009. It has been edited for this reposting. 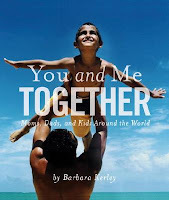 You and Me Together: Moms, Dads, and Kids Around the World by Barbara Kerley. Short, simple rhyming text and stunning colorful photos make this great for sharing with a group. Yum! Yuck! : A Foldout Book of People Sounds From Around the World and Mung-Mung: A Foldout Book of Animal Sounds by Linda Sue Park. Both of these colorful picture books show how different sounds "translate" in different languages. In America, a cow says "Moo!" What do they say in Japan? The Pebble Plus Life Around the World series from Capstone Press has many great titles including Families in Many Cultures and Homes in Many Cultures. I love the Pebble Plus books for preschoolers and early readers because they have large, vibrant photos and really simple text. 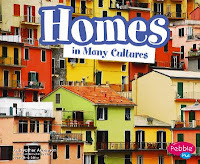 Homes Around the World ABC by Amanda Doering is another colorful book about all kind of homes all over the world. Market! 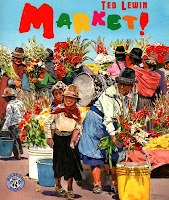 by Ted Lewin gives young readers a glimpse inside several different shopping markets worldwide. If your preschoolers have only ever been to the grocery store on the corner, give them a glimpse of markets in Ecuador or Morocco. Can You Count Ten Toes? : Count to 10 in 10 Different Languages by Lezlie Evans. Rhyming verses introduce the words for the numerals 1-10 in different languages. Let's Eat: Foods of Our World by Janine Scott. This book compares eating habits and customs from countries around the world. Families by Ann Morris. The simple text in this book describes families around the world. How is your family different from a family in Vietnam? How is it the same as a family from Saudi Arabia? 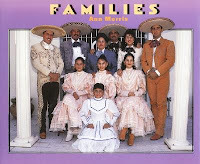 Large color pictures make this a great book to pore over with mom, dad, brother, and sister. Global Babies by Maya Ajmera. Full color photos of baby faces from around the world are sure to appeal to our very youngest "readers". This is a great choice for starting your child's multicultural education early! Faith by Maya Ajmera. 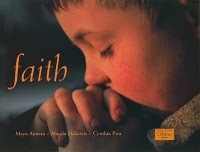 This is another offering from the Global Fund for Children and it features different religions from all over the world. The text is simple enough to use with preschoolers and back matter is included, making it a useful book for older children as well. I Like to Play and Grand by Marla Stewart Konrad again feature full-color photographs and simple text to show, respectively, children playing and enjoying their grandparents. Showing these universal experiences will help young children learn that they are part of a much larger world.